Fact - For many, motor oil is mystifying. Fiction - Everything you hear regarding motor oil is accurate. 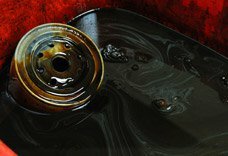 There are many myths surrounding motor oil, some of which you may have even been told were true by a mechanic or car care professional. Whether you change your own oil, or prefer to let us perform your next oil change, demystifying the misconceptions about motor oil can help you make more educated decisions when it comes to protecting your investment. Pep Boys knows vehicles and we are committed to providing the parts, fluids, services and information you need to protect your investment and do so with confidence. See below for 7 myths of motor oil debunked! Oil change intervals vary according to your vehicle's make, model and specifications set by the manufacturer. While some vehicle manufacturers recommend an oil change every 3000 miles, others may prescribe to a 7,000 mile oil change. Many modern vehicles come equipped with an engine oil life monitor that will keep you informed and up to date on the state of your oil life. When in doubt, we always recommend checking your owner's manual. Just because your engine oil is no longer that fresh, amber color doesn't mean that it needs to be changed. Most modern motor oils are designed to clean your engine so the dark color simply means that the engine oil is doing its job. Oil, while protecting and lubricating your engine, is absorbing dirt particles so they don't deposit or contaminate your vehicle's engine. 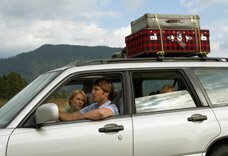 If you're aren't due for an oil change during the trip, waiting until you are back is fine. If you will be due for an oil change at some point throughout the duration of your trip, it's best to get it changed beforehand. In this situation, we recommend that you get your oil changed a week before your trip is scheduled just to make sure everything is in proper working order before you leave. While continually using synthetic oil may better for your vehicle's engine because of its superior cleansing properties and resistance to extreme temperatures, switching back and forth between synthetic and conventional oils will absolutely not harm your engine. Just make sure that the viscosity of the motor oil meets the requirements outlined in your owner's manual. 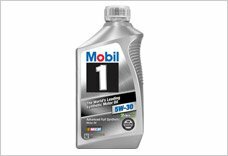 Depending on your vehicle's mileage, a high-mileage motor oil might be a good option for you. Take some time to understand the basics of motor oil so you know you options and make the right decision for you and your vehicle. When synthetic motor oils were first introduced in the 1970s, they were known to cause the seals in the car engine to shrink, resulting in motor oil leakage. 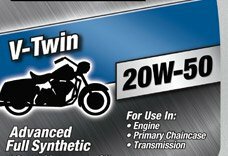 Many advancements in synthetic oil technology have been made in the last 30+ years and this myth has officially been debunked! Today's synthetic oil does not cause seals to shrink and thus does not trigger leaks. Having said that, using a synthetic oil in an older car (i.e. 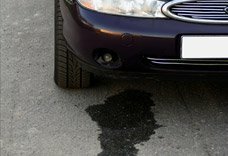 a car that is around 15+ years old) may cause leaks because the cleansing properties of the synthetic oil might clean sludge off the seals that was acting as a blocker for unknown cracks. 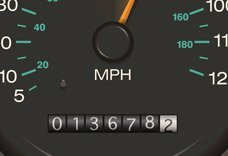 If you drive a vehicle with close to or over 75,000 miles, you might want to consider high-mileage oil. 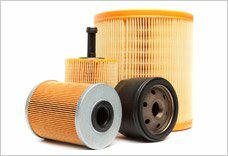 You should absolutely change the oil filter when you change your oil. By changing the oil filter when you change your oil, you prevent contaminants trapped in the old filter from entering the new motor oil and potentially causing damage to your vehicle's engine. The “W” in the oil specification stands for winter. Oil viscosity changes with the temperature. The two numbers in front of the “W” actually provide the viscosity temperature rating of that oil. General rule of thumb is the lower the number, the more vicious the oil.